The sun is out, temperatures are rising, and flowers are blooming. It’s starting to feel like summer here in Atlanta, which means it’s time (or maybe past time!) to start thinking about summer camps! As homeschoolers, we know that learning happens year-round…even in summer. And, while taking it easy and lounging by the pool may be the perfect way to pass the long summer days, sometimes we may want to get out and try something new, or continue studying something we’re passionate about. That’s where the following camps come in. We’ve rounded up information on nine awesome learning experiences happening around Atlanta this summer (and two outside the state that may be a great fit for your teen). From history to technology, outdoor fun to debate, these cool camps might be just what your homeschoolers are looking for during Atlanta’s hottest months. Circus Camp has been a popular Atlanta camp since 1992, and with good reason. This weeklong day camp experience combines hands on instruction, lots of fun, movement, and games, and a final end of week performance in front of parents and siblings. Circus Camp is geared towards kids ages 5 through teens, and is offered at several locations around town – Decatur, Dunwoody, Sandy Springs, Marietta, and Norcross. For more information or to register, visit their website. The Josh Powell Camp has been running old-fashioned, unplugged, outdoor summer day camps for 40 years, and they continue that tradition in 2017. 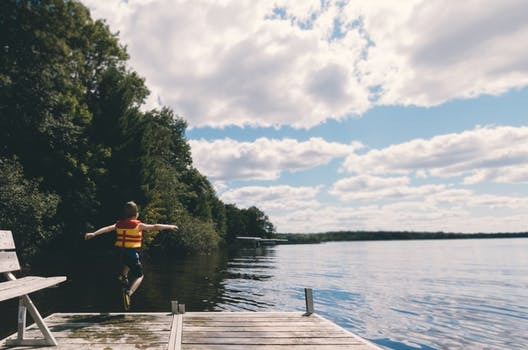 These tech-free camps offer kids the chance to canoe, build forts, practice archery, learn outdoor games, do arts and crafts, take nature walks, and basically have tons of summer fun. Parents can drop off and pick up at the camp location in Cherokee County, or can use the camp’s own bus service, which picks up and drops off at a location on West Paces Ferry Road. For more information or to register, visit their website. Play Well: Engineering with Lego Camp offers camps for multiple ages, at multiple locations throughout metro Atlanta. Each camper will have a chance to dive into Play Well’s massive LEGO collection, and build elaborate objects, structures, and vehicles, while exploring the fundamental principles of engineering and physics. Campers will also learn to collaborate and create without fear of mistakes. For registration and pricing information, visit the Play Well site, and find camps near you by entering your zip code. Margaret Mitchell House Summer Camps provide an opportunity for kids ages 9-14 to discover the power of writing, in a fun, interactive environment. There are weekly themes to choose from, including Mystery in the City, Writing Essentials, Playwriting, and Sci-Fi and Fantasy. Each camp is limited to 10 to 15 participants, so that each young writer gets individual attention and instruction. And, really, how cool is it that these budding young authors have the opportunity to hone their skills in the historic, three-story home where Margaret Mitchell lived and wrote her Pulitzer-Prize winning book, Gone with the Wind! Register online through the website. The Atlanta History Center (which runs the Margaret Mitchell House Summer Camps) also offers camps for kids ages 6 through 11 at their location on West Paces Ferry Road. Weekly themes such as Crime of the Century, Empire Unknown, The Great War, Weird History, and Rebellions & Revolutions will bring history alive and get campers’ creative juices flowing. Summer Institute for the Gifted @ Emory is a residential program that gives local (and not-local) students the chance to live on campus in a college dorm, take classes, and socialize with other gifted students for three weeks. Open to participants ages 9-17, this popular camp offers a variety of courses to choose from, including Math, Science, Humanities, Visual Arts and more. A commuter program is available for those wanting to forego the dorm experience, and a day program is available for kids ages 5-8. Applications are required, but information and registration information can be found at their website. Debate Camp @ Emory offers two and three week commuter and residential camp opportunities for high school students on the beautiful Emory campus and the Georgia State campus downtown. They also offer one and two week day camps for 4th-8th graders on the campuses of GSU, Hopewell Middle School in Alpharetta, and High Meadows School in Roswell. More information can be found by visiting their website. STEM summer camp @GA Tech – officially called CEISMIC Summer P.E.A.K.S (Programs for Enrichment and Accelerated Knowledge in STEM) – these week-long camps are hands-on, interactive learning experiences, offering participants the chance to dive into a number of experiential activities on the GA Tech campus. P.E.A.K.S. programs cover a variety of different Science, Tech, Engineering, and Math concepts through camps such as Artbotics: Lego Robotics for elementary students, Industrial Design, App Design, and Architecture for middle schoolers, and Roller Coaster Physics, Interactive Product Design, and Digital Modeling for high schoolers. For complete information, or to register for the camps, visit them online. Peterbrooke Chocolatier, located at the Forum in Peachtree Corners, offers campers ages 8 through adult the chance to become a chocolatier for a day. Participants will learn about the chocolate making process, dip their own treats, and build a delicious gift basket to take home. Pricing and registration information can be found on their website. Marlboro College’s Pre-College Summer Programs offer students age 15-19 the opportunity to spend a week on campus, working closely with faculty members, getting to know each other, and discovering what life is like at this academically challenging, homeschool-friendly college. The weekly themes include topics such as Cartography, Philosophy, DIY Chemistry, Playwriting, and Documentary Filmmaking, so participants are invited to apply for the session that sounds most interesting to them. The deadline to apply is June 5. For more information, visit them online. Canada/USA Mathcamp is an intensive five-week-long summer program for high-school students interested in mathematics. This year’s camp, which takes place at the University of Puget Sound in Tacoma, WA from July 2 to August 6, 2017, has already closed registration. But interested students can go ahead and plan for 2018 by completing an application and a qualifying quiz – both located on the website.